Raising children is difficult, to say the least, and everyone will agree that the challenge of bringing up a child in this world is one of the hardest and rewarding times in one’s life. However, for others, dogs are their children, and the love and affection they show for their pets is comparable to having a kid. The responsibilities of raising a child properly can seem overwhelming, and understandably so. The same holds true for raising and training a puppy. 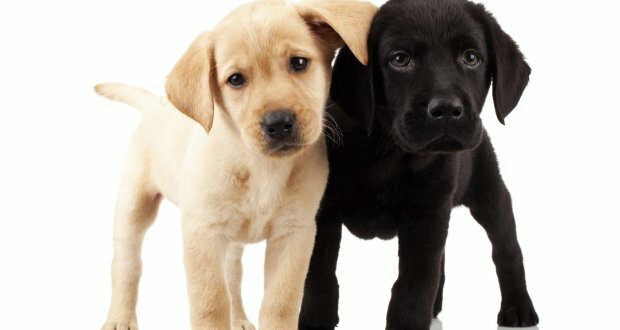 If you are fortunate enough to know a reputable breeder, raising your dog may be easier with the knowledge and advice a breeder can impart to you. Being aware of potential problems before they happen is the perfect form of preparation and troubleshooting. There is nothing wrong with purchasing a purebred dog. They have a pedigree and a family tree that can be traced. Purebred dogs are also usually microchipped and up to date with the most important vaccinations. Based on the information provided for purebred dogs, here is a list of the 11 easiest dogs to train and raise. Labs are great with kids, which goes hand in hand with obedience. Labrador Retrievers are easily trained and enjoy pleasing their owner via performing tasks they are assigned. Lab Retrievers are lovable for their big heads and mouths as well as their overall gentle and trusting nature.